Solar Impulse 2, the experimental solar-powered aircraft, has kept us on the edge of our seats as we’ve waited, day after day, for news of a second ocean crossing attempt. The first attempt resulted in an unscheduled stop in Nagoya, Japan after the forecast changed and it was clear the flight path would be plagued with storms, making it impossible to get enough sun exposure to charge the solar batteries. That was three weeks ago. 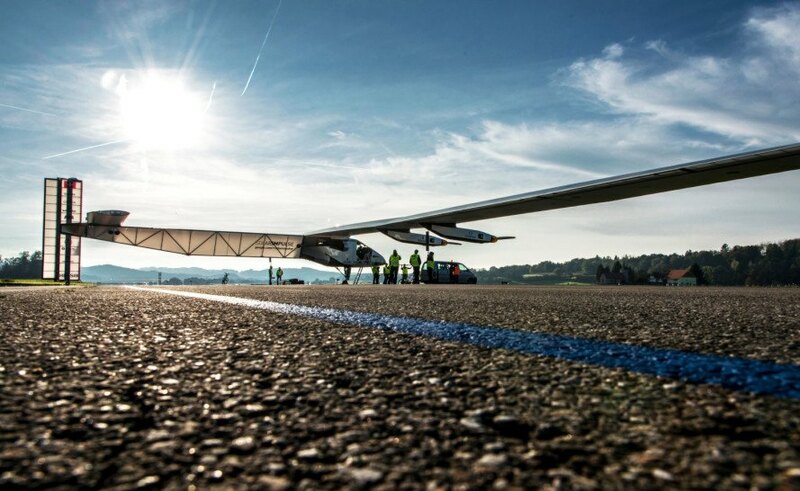 The solar-powered plane was slated to take off again on June 23, but a worsening weather forecast caused the crew to cancel that attempt as well. Now, the fragile airplane could be stuck in Japan for an entire year. 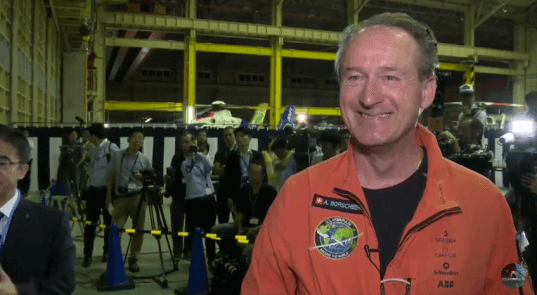 Swiss pilot André Borschberg was snug and settled in the cockpit, hoping to complete the five-day and five-night journey across the Pacific Ocean to Hawaii. Team meteorologists ran model after model of weather projections, attempting to look into the future and determine whether SI2 would have a clear flight path to Hawaii. After several hours of deliberation, Borschberg and his co-founder Bertrand Piccard (who alternates with Borschberg as pilot for each leg of the round-the-world flight) decided to cancel the take off, leaving the plane grounded. In an interview with Tribune de Genève published June 25, Piccard said the plane must take off before August 5 in order to complete the trip around the globe. After that day, the days become too short, as the aircraft needs 10 hours of bright sunlight each day in order to charge the batteries to power the plane through the night. At this time, it’s not looking likely that the weather will allow another flight attempt before the cut-off date. Prior to the cancellation decision, Borschberg’s attitude was optimistic. The pilot joked with the press that he would throw “a big party” in Hawaii and “go surfing on the beach.” If the plane ever makes it to Hawaii, the SI2 will become the first airplane to ever cross the Pacific without fossil fuels, and that beach party will not soon be forgotten.